120 Days Same as Cash $1014.00 - Great Price Great Rates & Terms. The Alliston sectional by Ashley features DuraBlend upholstery in the seating areas with skillfully matched vinyl everywhere else. 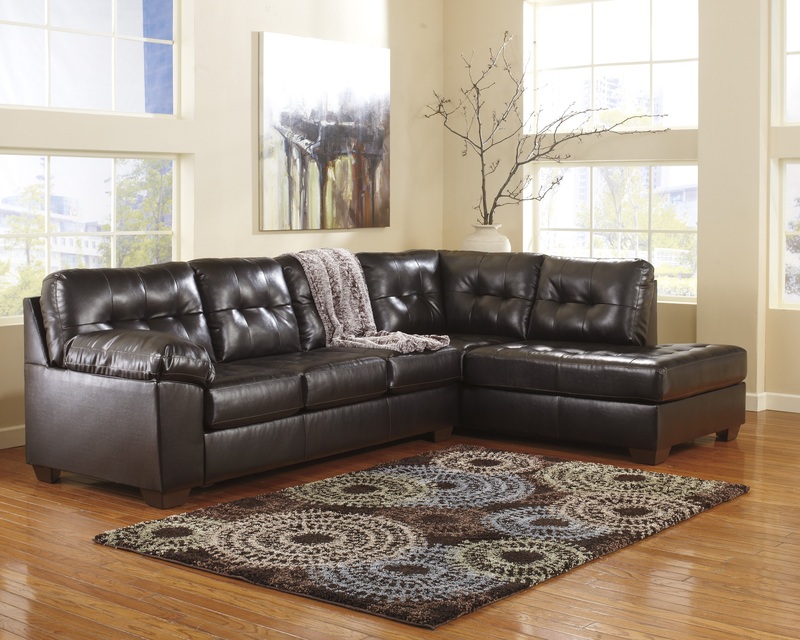 With the supportive back and seat cushions stylishly adorned with tufted detailing along with the thick padded arms, the Alliston DuraBlend Chocolate sectional beautifully enhances the sleek contemporary design without sacrificing the comfort you desire.